This page is an overview of the total devices that are specifically assigned to the user or to the organization the user belongs to. 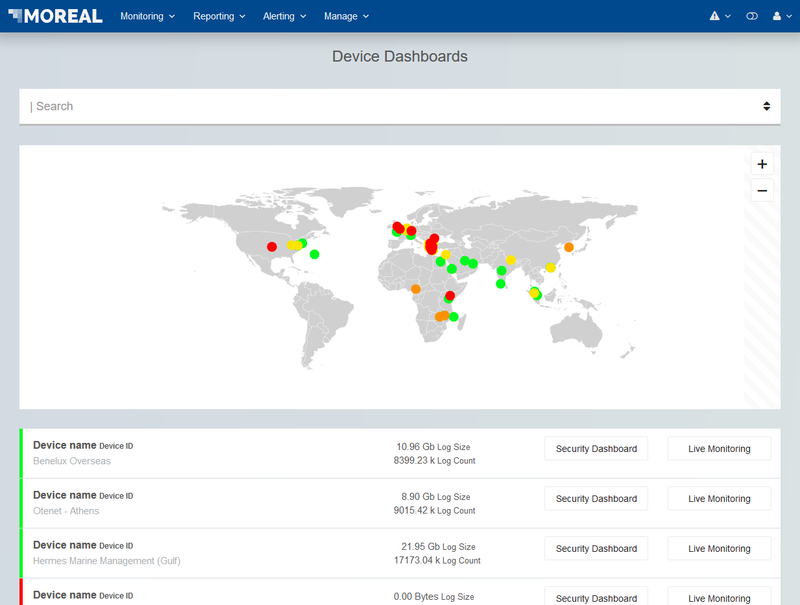 Each device is represented by a circular marker on the map at the top of the Device Dashboards screen; the color of each marker represents the device status. A Live Monitoring button that navigates the user to the Device Live Monitoring screen that contains charts that are generated from the logs that derive from the device.